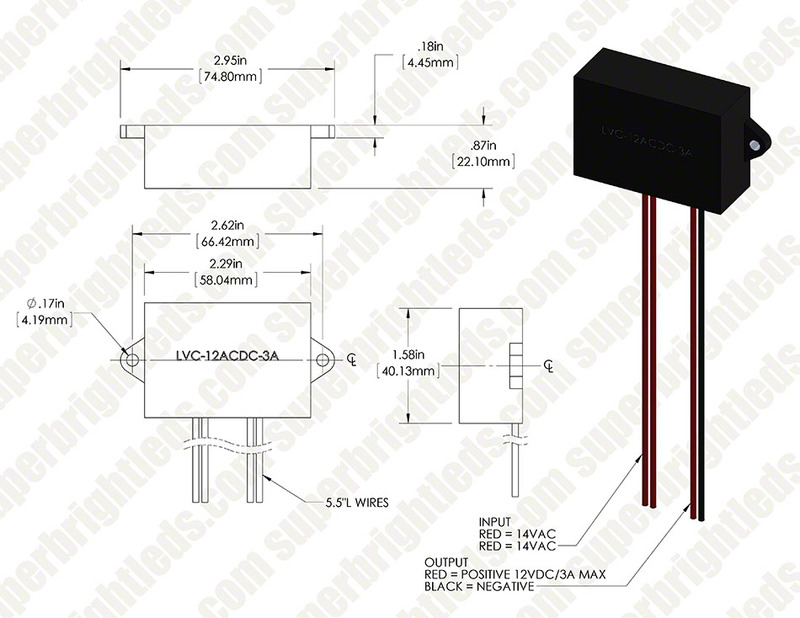 12 Volt AC Input to 12 Volt DC waterproof voltage converter. 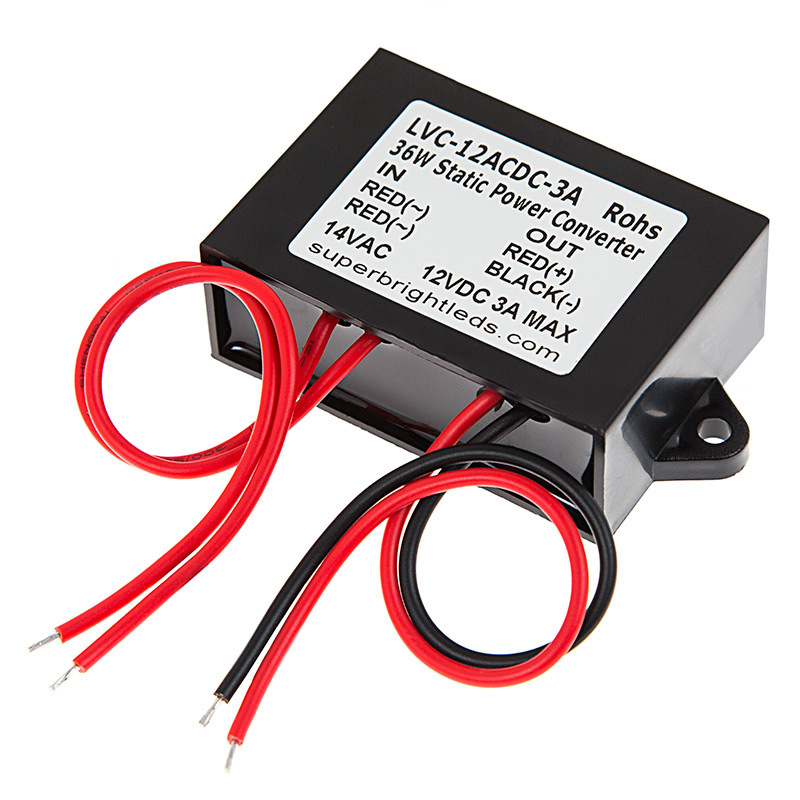 Use AC to DC converter to allow your existing 12 Volt AC power supply, for instance a landscape power supply, to power any 12 Volt DC LED Light. Fully potted case with built-in mounting tabs. Available in 3 Amp max loads. All input and output wires have stripped tinned leads. I wanted to put a LED light on the front of my Ariens snow blower so I could see better when using it at night. The snow blower had a 20 watt "headlight" that was not very good. I checked the voltage from the alternator and found the voltage to be 12 VAC. I needed 12 VDC for the LED lights. I used this converter to convert the power to 12 VDC. I installed a 5" round 25 watt headlight on the snow blower and it works great. Installed this item on my snowblower to convert it to DC LED lights and it works great! prevent unwanted movement. The installation of a micro-motor with a gear box 5000 - 1 with 134 in/lbs torque has now locked the chute to where it is set. Since snowblowers produce 12 vac and I needed 12 vdc 1 amp this unit had plenty of power and some to spare. So installed a 1000 lumens flat panel led light. The unit is rated for 3 amps so it should last years. Wanted to power a car stereo set up at my fire Pitt out back with out running a power line. Hooked this unit to my low voltage lighting system to convert the low voltage AC to DC. Works great! Ordered another for for my saloon i built.